Politicians are always going on about tackling the big issues. But Boris Johnson has a different approach, he likes to take on the smaller issues. And by that I mean he likes to rugby tackle 10-year-old Japanese school boys. 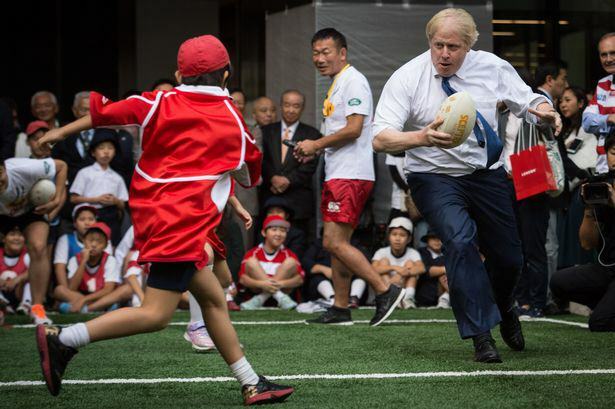 The London mayor is currently on a business trip in Japan, from which this footage of him shoulder-barging schoolboy Toki Sekiguchi during a ‘friendly’ game of rugby has surfaced. Toki felt the impact, but was soon up and running again afterwards. The Mirror reported him as saying: “I felt a little bit of pain but it’s OK”, and that it was ‘enjoyable’ to meet the mayor. 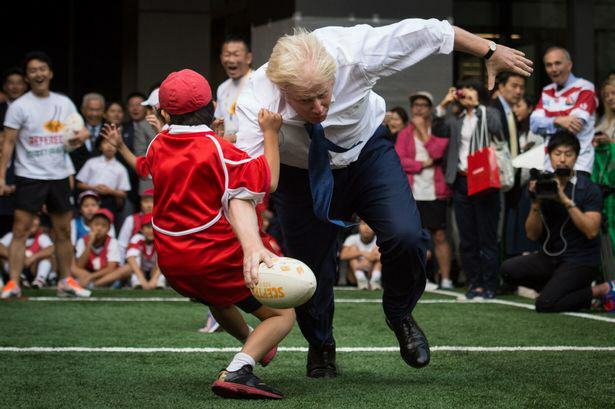 It’s not the first time Boris has floored a kid during a game, last year he was seen tripping up a nine-year-old boy during a game of football in London.